Second Baptist School choirs performed beautifully composed, skillfully sung pieces from a variety of composers at this year’s choir concert. Students began preparing for the concert in August and their hard work was evident as the evening presented amazing talent and expertise. 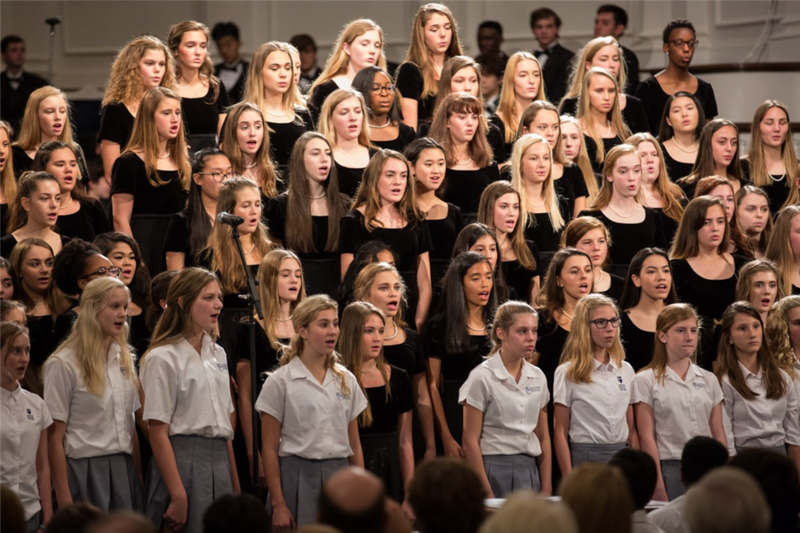 Through the combined efforts of middle and upper school choirs, the audience heard a wide repertoire of music from Hosanna as performed by the Concert Choir to He Never Failed Me Yet featuring special guest soloist, Jeff Anderson from Veritas. Click here to view photos from the fall 2018 choir concert.